Oxford Gene Technology (OGT) said today it agreed to be acquired by in vitro diagnostic company Sysmex for an undisclosed price, in a deal that will expand the buyer into the cytogenetics market. By acquiring OGT, Sysmex said, it will enter cytogenetics with both FISH (fluorescence in situ hybridisation) and aCGH (array comparative genomic hybridisation) products. Sysmex added that the transaction will also strengthen its technology base in molecular genetics through OGT’s next generation sequencing (NGS) reagent development capabilities—and will reinforce its initiatives towards personalized medicine. 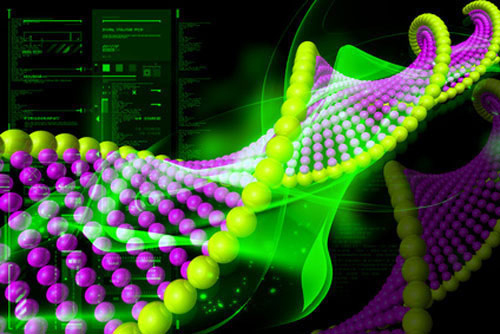 Adding OGT’s array CGH and NGS capabilities, Sysmex said, will further expand its opportunities in genetic testing, both in the field of rare diseases and liquid biopsies. According to Sysmex, several product development synergies have been identified that combine OGT’s expertise in genetic assays for hematology, solid cancer and rare disease with Sysmex’s expertise in instrument development and in vitro diagnostics to expand offerings in genomic medicine. R&D teams from OGT and Sysmex will collaborate to develop an automated system for FISH testing by combining Sysmex’s automation technology with the high-quality FISH reagent development expertise OGT possesses, Sysmex added. “Alongside the exciting product development opportunities already identified, there are a number of beneficial commercial synergies that will expand market access for OGT’s products putting us at the forefront of molecular genetics. We are looking forward to the next chapter in our development as part of Sysmex,” OGT CEO Mike Evans, D.Phil., said in a statement. OGT finished its fiscal year ending September 30, 2016, with sales of £19.7 million ($25.4 million), primarily from its fully integrated molecular genetics product portfolio of Cytocell® FISH probes, SureSeq™ NGS products and CytoSure™ microarray products. Sales of those products grew that year by 30% over the previous fiscal year. Headquartered in Kobe, Japan, Sysmex develops, produces and sells integrated instruments, reagents and software used in in vitro diagnostics and is the leading supplier globally in hematology, hemostasis and urinanalysis.